In Europe, the benefits of this development are very obvious. Since 1960s, many modern dry mortar production plants with annual production of several million tons have been established. The promotion of dry mortar production and application technology, as well as the use of mortar silo transport and mechanical spraying, increased the use of stucco and plaster mortar by about 10 times between 1960 and 2000, while the number of workers deceased by 25%, the production efficiency of the construction increased by 8 times. In Germany, there is a dry mortar plant for every 500,000 people. There are currently about 100 dry mortar plants with production of 1000 tons per year. After 1990, German domestic dry mortar technology flourished, and this trend is now continuing in Eastern European countries. The application of dry mortar in Europe is very common, and dry powder mortar is widely used in Germany, Austria, Finland and other countries. In 2000, the production of dry mortar in Europe was about 30-40 million tons/year, and it increased at an average annual growth rate of 12%. In Europe, dry powder mortar plants with an annual production of more than 1 million tons are common, with a maximum output to 45,000 bags per hour. The high output brought about by automated processes is a major factor in the profitability of such plants. To achieve this production, a high-speed mixing equipment was used to produce 1 ton of homogeneous mixture in 3 minutes. This speed is achieved with the automatic bagging and stacking device. In general, the entire process is controlled by an online control panel. 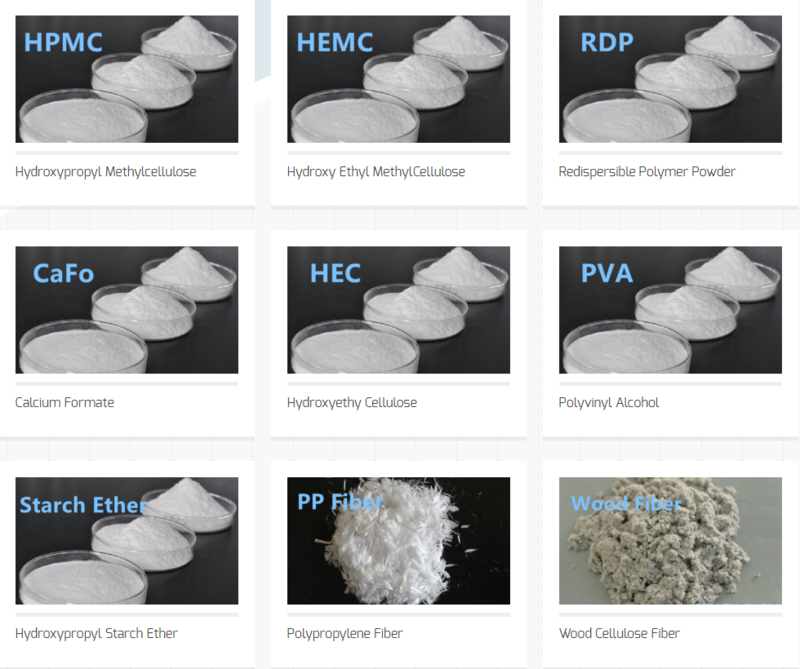 The most important and mass-produced dry mortar products in Europe are: masonry mortar, plastering mortar and putty(interior and exterior walls), tile adhesives, self-leveling mortar, exterior wall insulation mortar, powder coating, and repairing mortar.